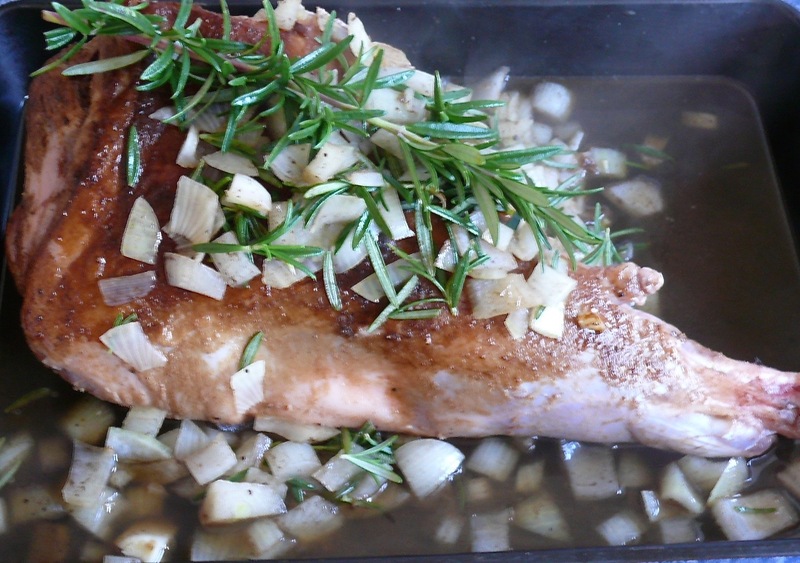 Slow Roasted Lamb with Ginger, Garlic and Gin. I haven’t made roast lamb for a while now and I’m not sure why as it is so easy and tastes so great! We are so very lucky in New Zealand as our lamb, indeed all our meat is generally grass feed and very tasty! So I decided to get out an old recipe which I last used a decade or so ago and give that another try. This recipe has a surprising addition, a great slug of gin! But don’t be frightened by the gin, the alcohol is burnt off during the cooking. And it is optional, so don’t worry if you don’t have any or prefer not to use it. However, it does add a little something different to the long slow roasting which is the key. Enough said let’s go to it! Gather all the ingredients – oops missed the putting the butter into the photo! Remove the lamb to a roasting dish and add the stock and gin, be sure to scrape the tasty bits off the bottom of the pan. Bake, rest slice and here it is ready to eat with your favourite vegetables. Mine are steamed buttered broccoli and cauliflower with cream and cheese. • Heat oven to 150c/325F. 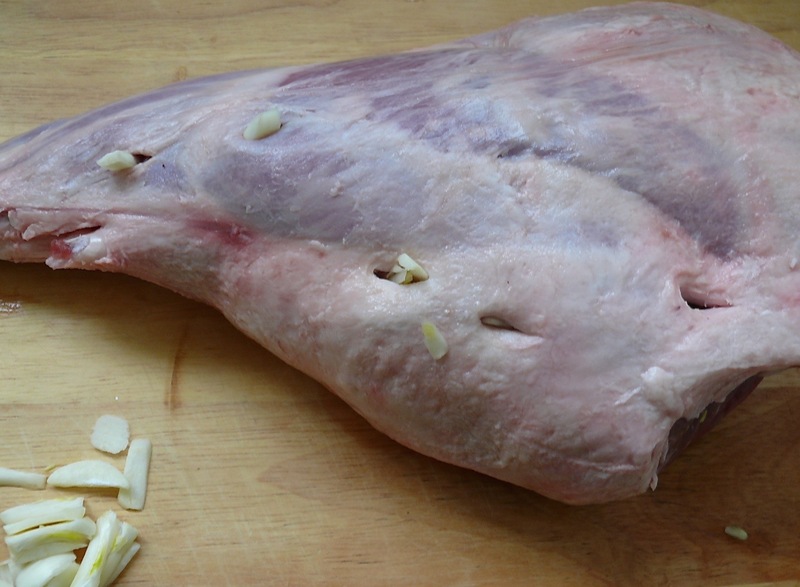 • Make incisions in the meat and inset slices of garlic into the cuts. • Mix the ginger, salt and pepper and rub into both sides of the meat. • Place into a roasting dish. • Add the onion to the pan and fry gently for a few minutes. • Add the stock, gin and chopped rosemary to the frying pan and scrape the bottom of the pan to loosen any meaty bits on the bottom. • Simmer for a few minutes. • Pour this over the lamb. 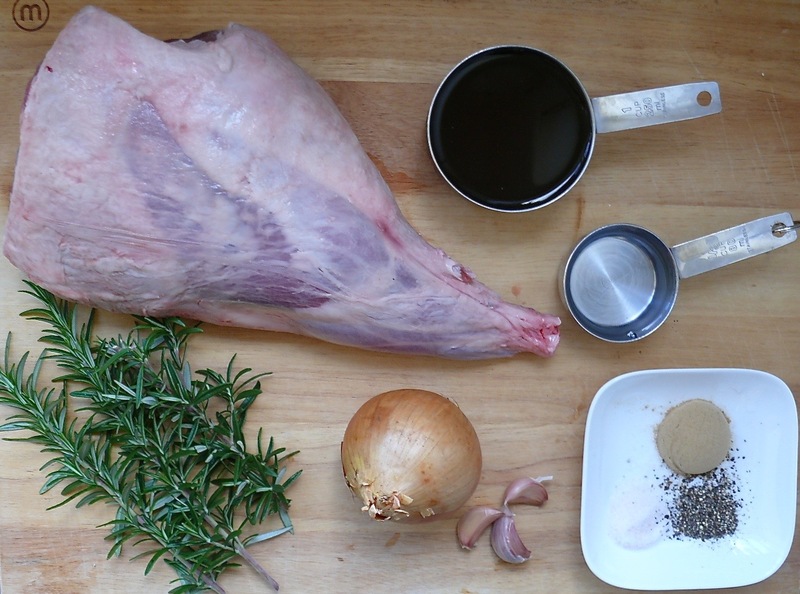 • Place the last rosemary sprig on top of the lamb. • Turn the heat down to 130c/300F and cover the lamb dish with tin foil. • Roast for an hour and half. • Turn the heat down to 100c/ and continue to roast for another hour. 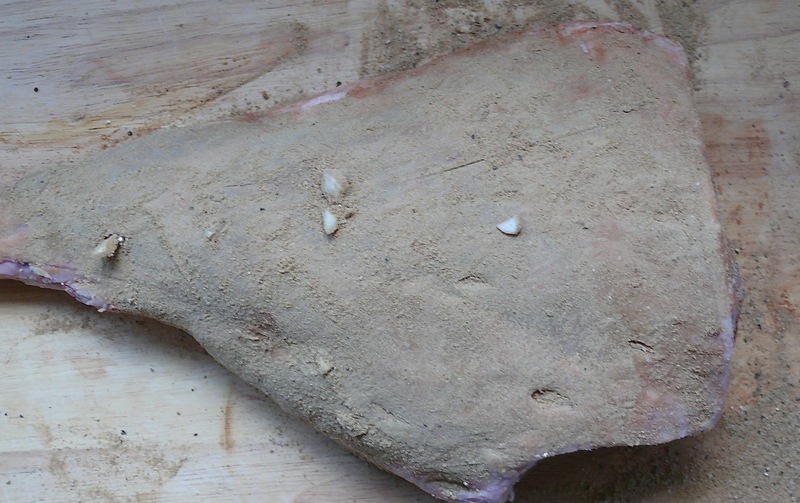 • At this point test the meat by slicing a small piece – it should be very tender. 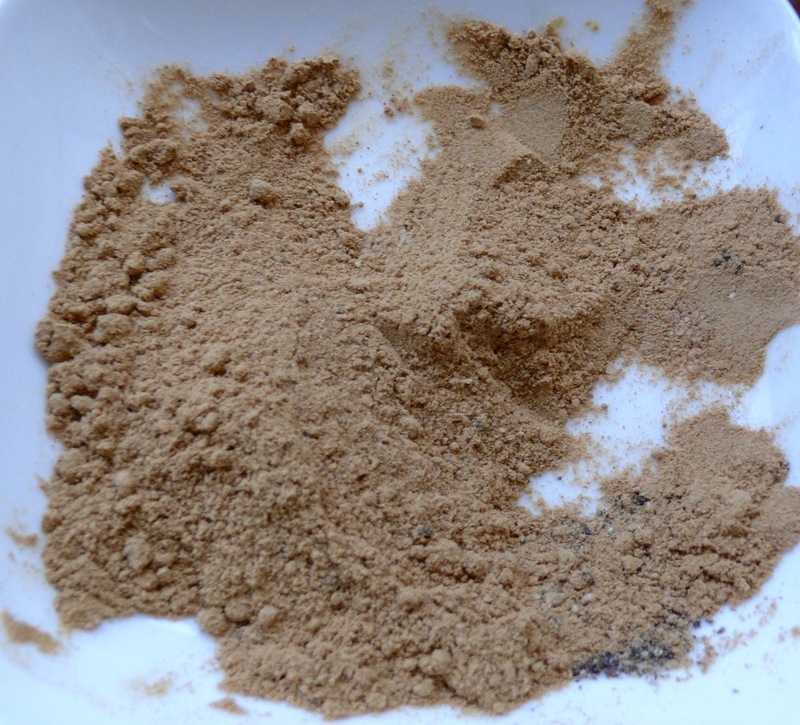 If the lamb juices look like they are drying out at any time you can add another ¼ cup of stock. However, covering the lamb with the foil generally keeps the meat moist. • Remove from the oven and place in a warm serving dish, covered with the foil. • To make a gravy, add the other 50g butter to the pan and ½ cup of water. • Bring to the boil and then turn down to a simmer, scrapping all the meat bits from the pan. 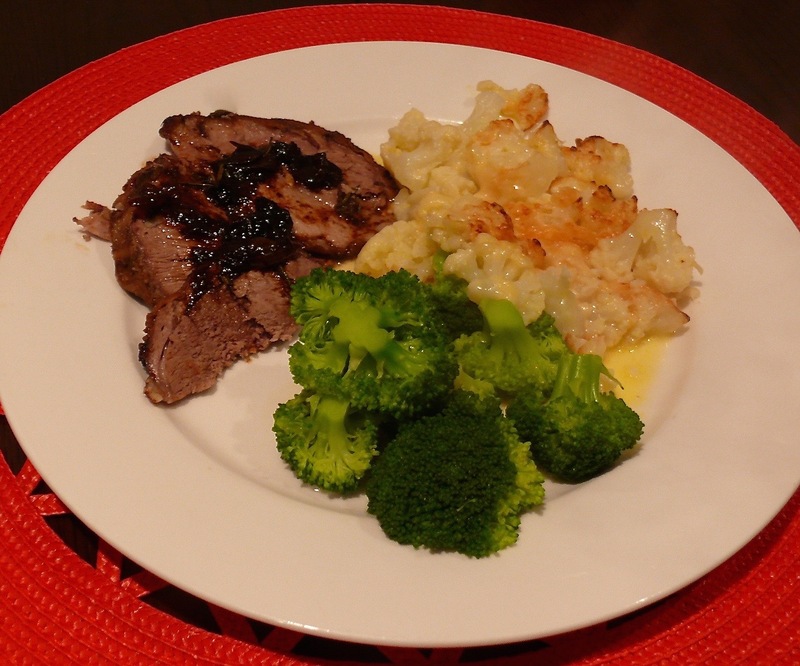 Serve with your favourite vegetables, mine are steamed broccoli and Creamy Cheesy cauliflower. I don’t eat lamb, but this recipe sounds so good, I bet it would work beautifully with chicken. I am sure there would be plenty of gin left for my gin and tonic!! A winner. I am sure it will work, but not the slow cooking part, just roast as normal. And yes, it’s almost mandatory to enjoy a gin and tonic while you are getting this ready!